Everyone wants to throw the best party... or be the coolest candy giving house on the block, right? Well, this year I am here to help!! I had grand plans to throw a party tomorrow night, but then my daughter came down with pink eye, my son has a nasty cough... and I figured it probably wasn't such a good idea. Hopefully everyone an get healthy and our party can be rescheduled for next week! 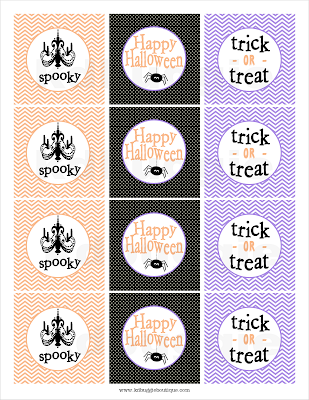 In the meantime, I created this fun FREE printable sheet just for you! I am so thankful for everyone who stops by to read what I write and see what I create. Even if you don't leave comments, it's nice to know that someone out there is reading this stuff! So, thank you! Each square is 2.5" wide with a 1.75" diameter circle. Perfect for a 2" circle punch or to leave as a square. Create your own cupcake topper using my tutorial here or punch a hole in the top (or corner) and use them as tags! Attach them to your trick or treat candies that you pass out on Halloween. Tie them around party favors. Use them for decorations. 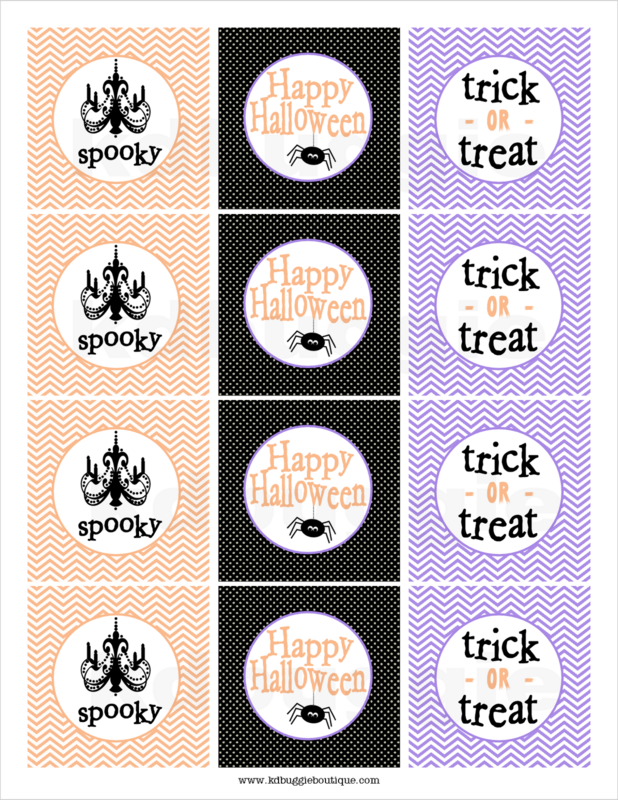 Print them on label paper and use them as stickers. Do whatever you want with it. Once you receive your file it's yours to keep... forever! BUT, please don't sell this print or offer it for free. It takes me time to create all of these wonderful freebies for you guys. All I ask is that you are a follower of this blog. So, please take a couple seconds and click to become a follower. Then feel free to download your free printable!